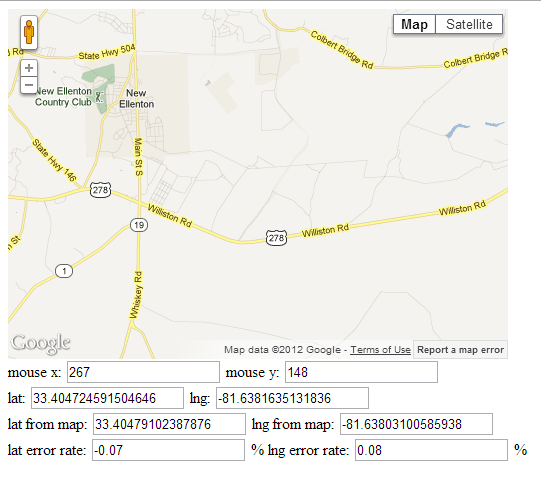 This article describe how to convert the mouse position x/y to the map lat/lng in Google Maps. Simply get the bounds of map and calculate the lat/lng based on the mouse x/y and the width/henght of map div. The result has a little bit bias, but accurate enough.